150 years after its end, the Civil War remains one of the most important events in American history. It has been depicted countless times in novels, paintings and on screen. Here are 12 of the best cinematic presentations of the war. Like the battle it depicts, Gettysburg (1993) is extraordinary in its scale and spectacle. Over four hours long, the film is entirely taken up with depicting the most famous battle of the war. For the first time, the National Park Service allowed film makers to shoot scenes of the Battle of Gettysburg on the battle site. Thousand of Civil War reenactors flocked to set to take part in the film, along with a big name cast that includes Tom Berenger and Martin Sheen. A must see for any fan of war films. 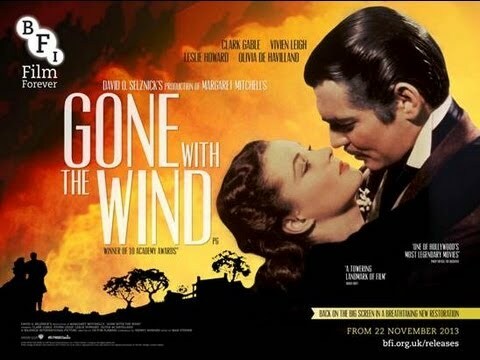 Still remembered as an all time classic, Gone With the Wind (1939) was one of the biggest releases in the history of cinema. Delayed for years by problems with casting, script and direction, it was ground-breaking in its scale. Though its most spectacular depiction of war came in showing the Siege of Atlanta, its greater significance lies in its focus on the impact of war on the South. Though the depiction is one-sided, glossing over the horrors of slavery and the freedom granted to African-Americans by the war, it also shows the hardships the war brought for many southern whites. 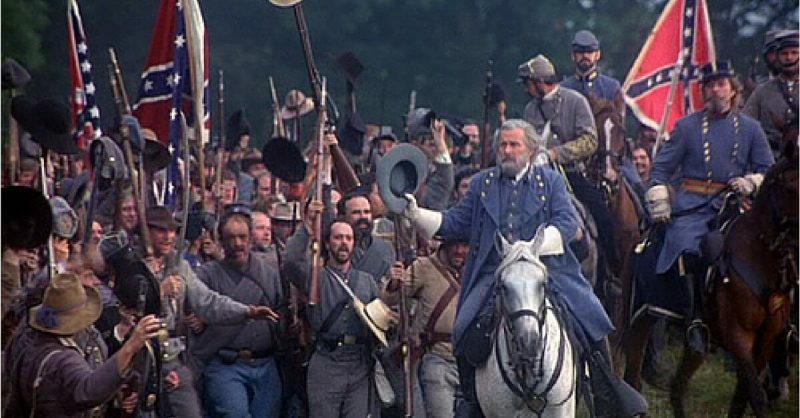 Glory (1989) tackles head on the issue of race and its place in the Civil War. 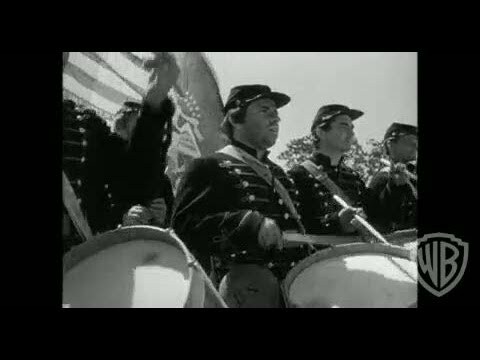 Telling the story of the first official African-American unit in the Union army, it shows the hardships African-Americans faced in fighting for their own freedom. Viewed as inferior by many of their comrades and superiors, their struggle for the basic necessities of military life, and for the chance to fight as equals, is a tremendous example of the human spirit, brought to life by fine performances from Denzel Washington and Morgan Freeman. As far from Glory as a Civil War film can get, They Died With Their Boots On (1941) takes the story of one of the war’s most infamous soldiers and throws fact out the window in favour of high excitement. A biopic of the life and death of George Armstrong Custer, it expands his role in the war to make him appear one of its great heroes. 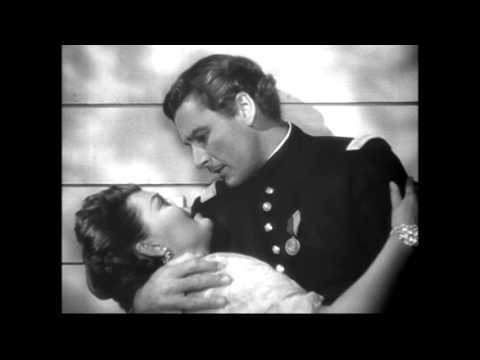 Errol Flynn brings Custer to life with his customary swagger, and the film was a box office smash. No list of films depicting 1860s America would be complete without the presence of John Wayne. 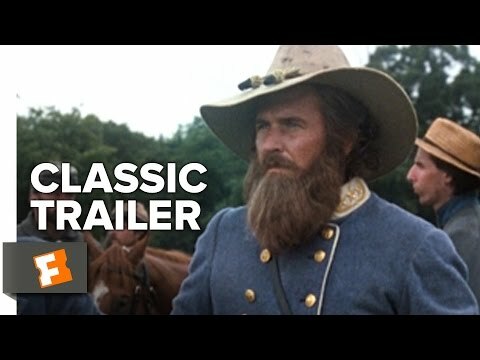 Loosely based on the real life Grierson’s Raid, The Horse Soldiers (1959) depicts a Union cavalry raid deep into Confederate territory to destroy supply lines. 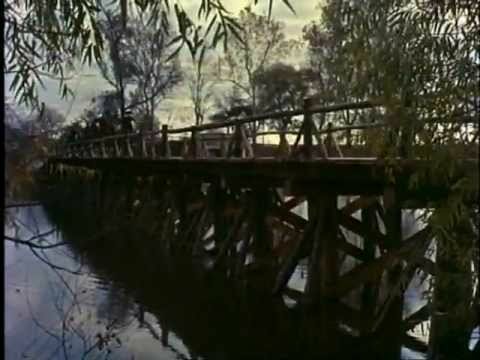 Full of the action and grit for which Wayne’s films were renowned, it also highlights the important role that the destruction of enemy infrastructure played in the war. An adaptation of Stephen Crane’s classic novel, The Red Badge of Courage (1951) focuses on the experience of battle. A private with no previous experience of war, Henry Fleming finds his courage tested in the face of death. A fitting tribute to the thousands of ordinary men who faced extraordinary danger in the war.